The amazing Unreal-powered graphics and motion capture create astonishing levels of atmosphere and realism. Watch sweat and blood fly with every punch and see your opponent’s face take injuries- then watch slow-mo action replays of your greatest KO’s. 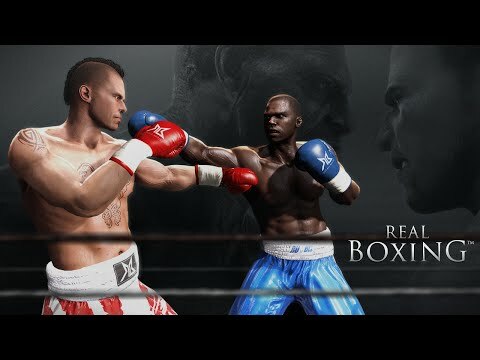 See and hear the crowd go crazy as you outbox your opponent across multiple arenas including Las Vegas, Moscow’s Red Square, Rome Colosseum, New York, London and many more. Take-on Career Mode with over 30 fights and three belt titles to conquer. Fight over 30 opponents with their own unique and adaptive fighting styles then train your boxer with mini games including skipping rope, heavy bag and mini bag. Unlock new equipment, extra opponents and customised clothing. Customise your fighter’s appearance: hairstyle, skin colour, tattoos and clothing. Look awesome and boost your skills using the exclusive and stylish PunchTown Pack.